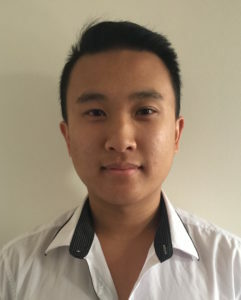 Brandon Le is currently in his final year of a Bachelor of Psychology (Honours) at the University of New South Wales, Australia. Following this, he aims to complete a Master of Psychology (Clinical) then gain endorsement as a Clinical Psychologist. Brandon’s area of interest lies in the treatment of individuals with mental disorder(s) that have been involved with the Australian criminal justice system. Namely, he aims to aid in the rehabilitation and reintegration of violent offenders experiencing mental illness by providing empirically-supported psychological treatment. Brandon's Honours project is examining differences in patterns of emotional processing between typically developing children and children with conduct problems and callous-unemotional traits. By examining the differences in emotional processing profiles between these two groups, he hopes to gain a better understanding of the emotional mechanisms of pro- and anti-social behaviour in young children.